Mt. Hodo (宝登山) is located Nagatoro, Saitama. It is 497m high, and at the top, you can see great view of Chichibu area. There is ropeway to reach the top of the mountain. Mt. Hodo has many faces for each seasons. There is the shrine and garden which have many flowers. In the spring, Plums and Cherry blossom are bloom. In May, Tsutsuji flower bloom. At summer, you can enjoy beautiful green leaves, and Autumn leaves at Fall. In the winter, Robai will blooms. 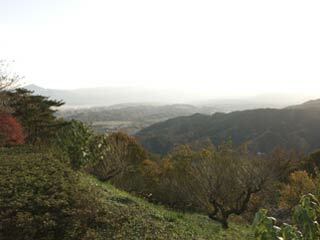 At the top of the mountain, there is small zoo which has many Japanese monky and deers. Also, many pepole visit here for one day hiking. There is Okunoin shrine of Hodosan Shrine which is one of three major Shrines in Chichibu.